This trendy Chunky wrapped heel features an open toe silhouette, ankle strap with an adjustable buckle and a lightly padded insole for comfort . Available in Black and Sand. 0% regret -best ankle strap buy EVER. I even walked 4 blocks to a party one night and they were comfy and just LOOK AMAZEBALLS! I had 2 pairs of shoes made from Shoeland. Quality service and the shoes are beautiful. 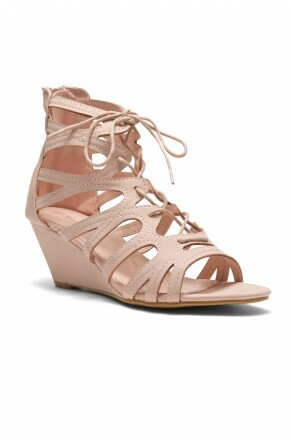 This chunky heel sandals are too great quality!!! !